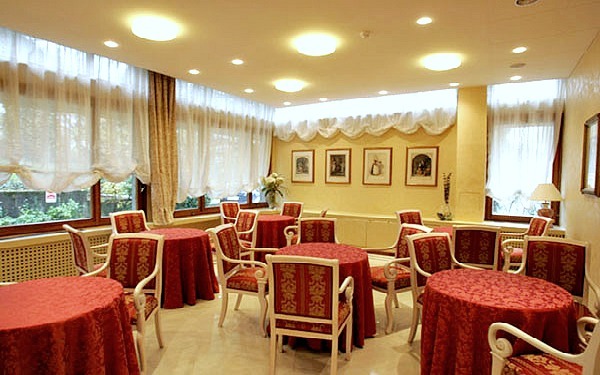 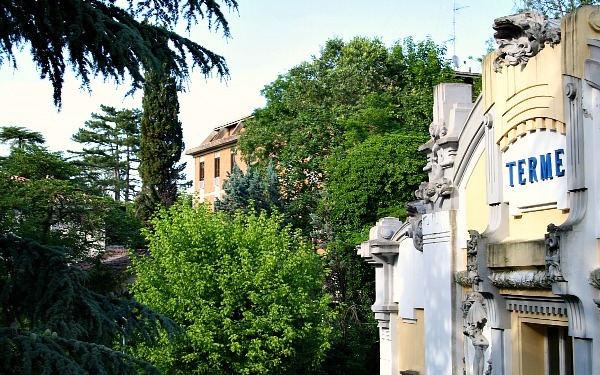 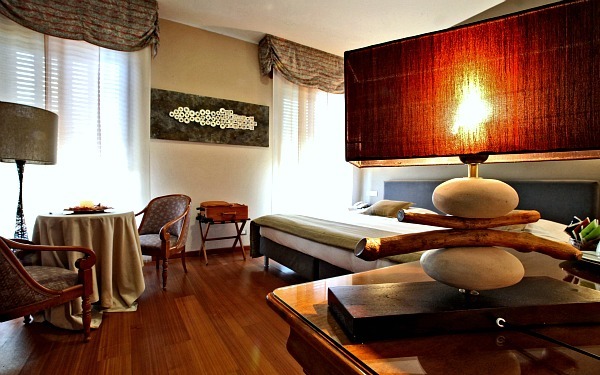 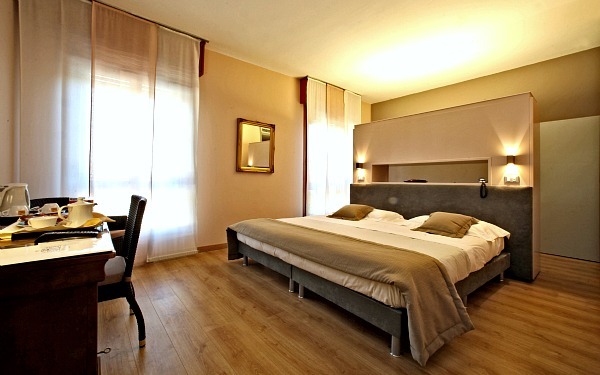 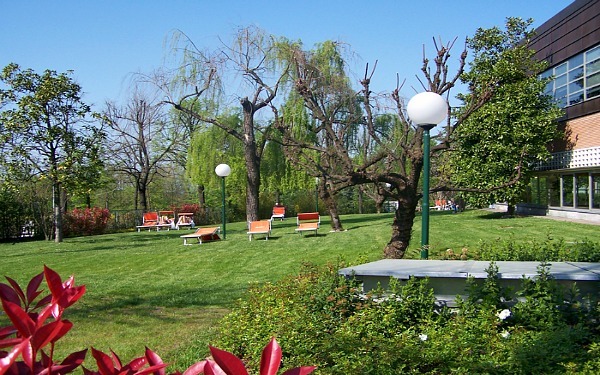 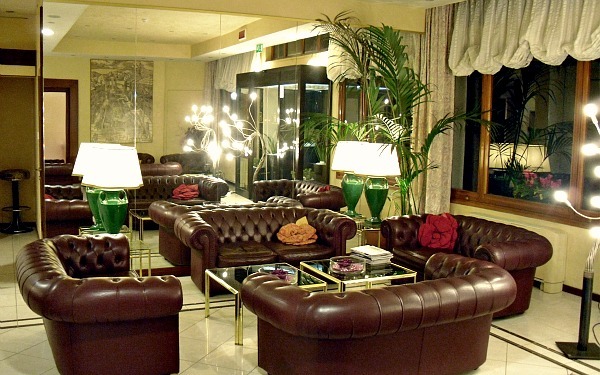 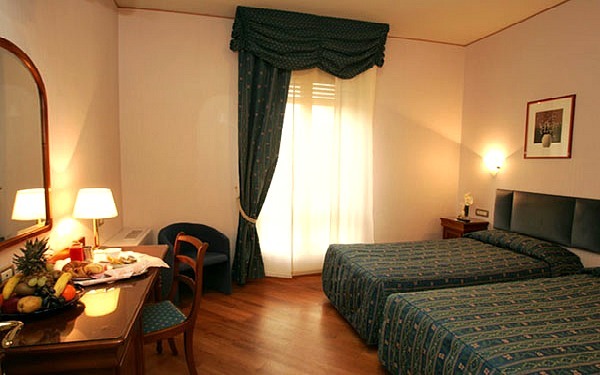 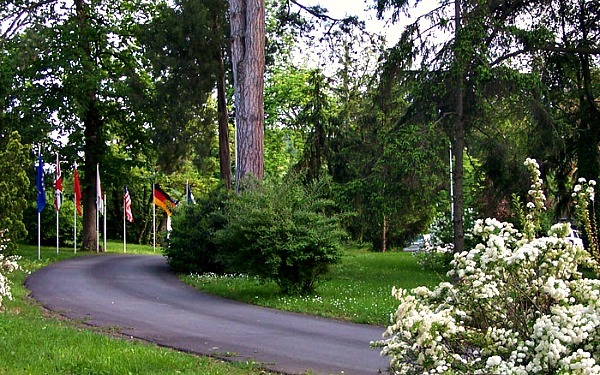 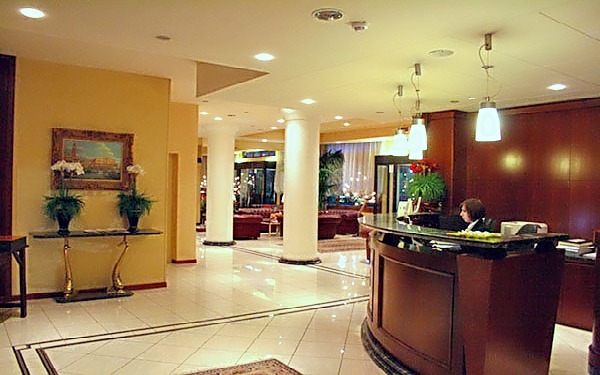 Hotel Terme Salvarola is located in Salvarola Terme, on the hill of Sassuolo in the centre of Emilia Romagna. 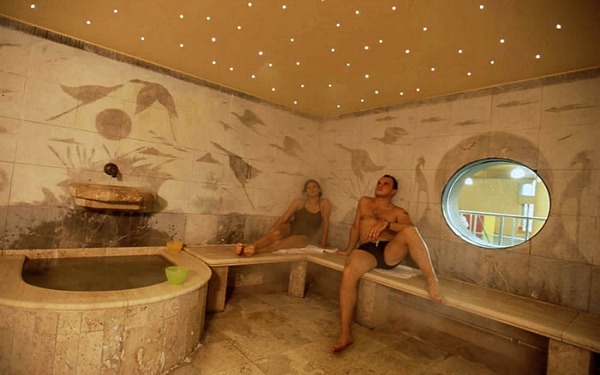 Surrounded by greenery and olive vines, the hotel reiterates this area’s vocation for well-being, which is renowned for the therapeutic properties of its water and mud, and just a short distance away is a large thermae spa. 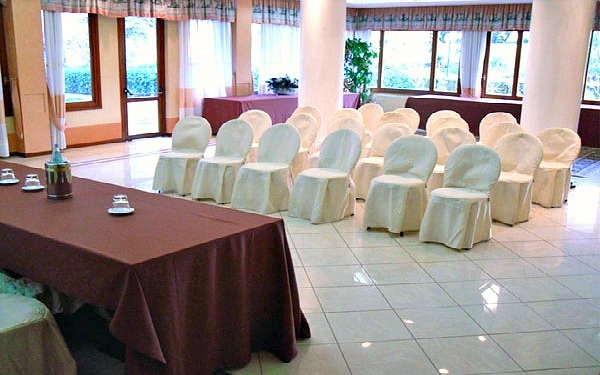 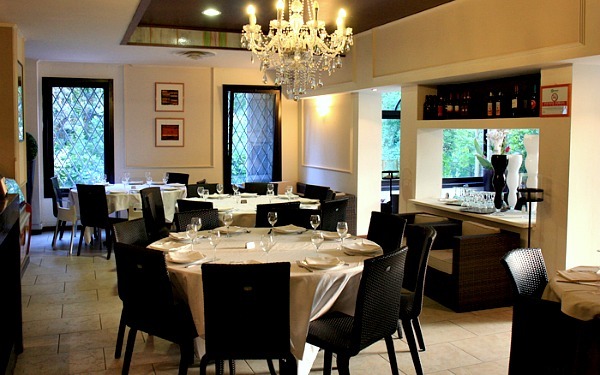 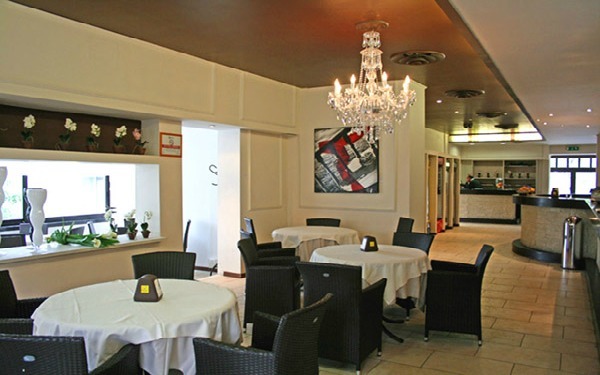 The hotel also boasts a restaurant/pizzeria and, thanks to the two well equipped meeting rooms, one of which is able to host up to 100 guests, this really is the perfect place to have meetings, congresses and work trips. 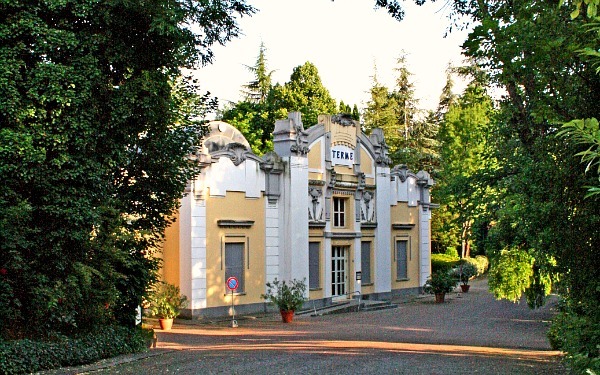 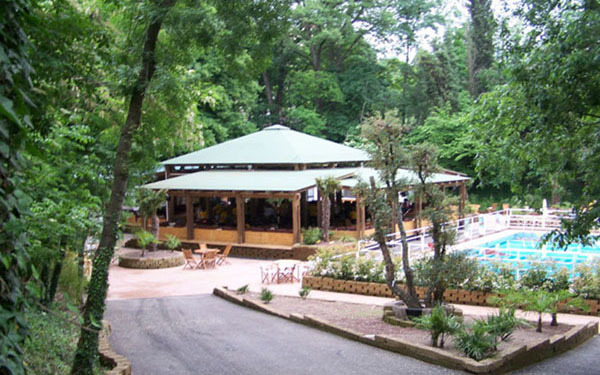 The Balnea health farm is just a few metres away from Hotel Terme Salvarola, as is the thermae spa. 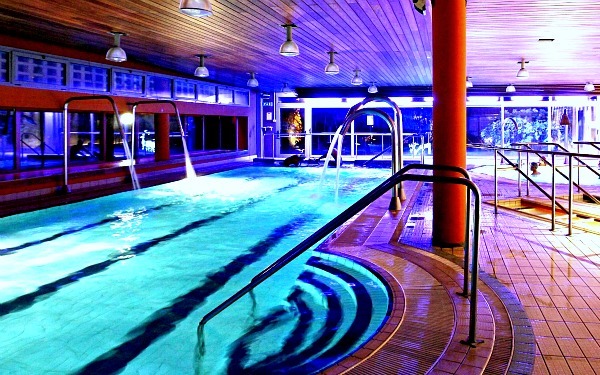 In the complex, 2300m² are dedicated to psycho-physical well-being, thanks to the use of the local salsobromoiodic and sulphuric water, and there are 5 pools heated to different temperatures at the spa, some of which are Jacuzzi tubs and others thermal swimming pools, and they are used for healing and aesthetic treatments. 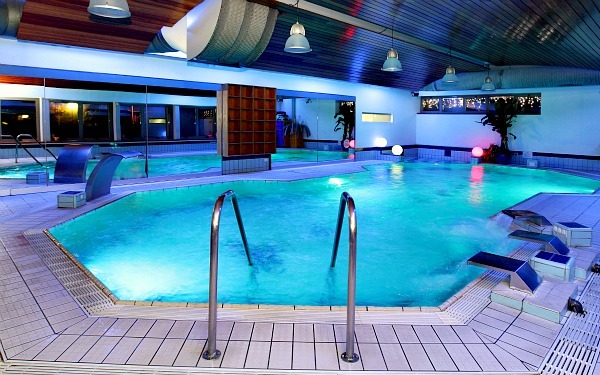 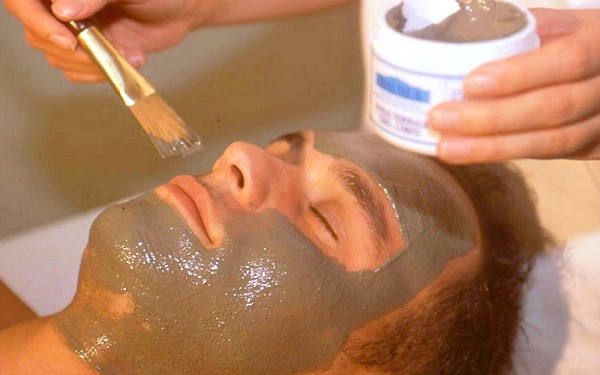 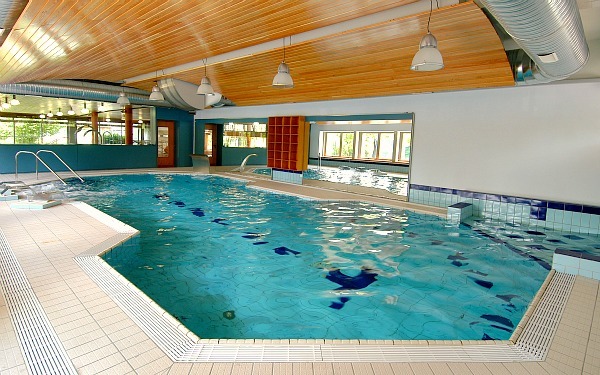 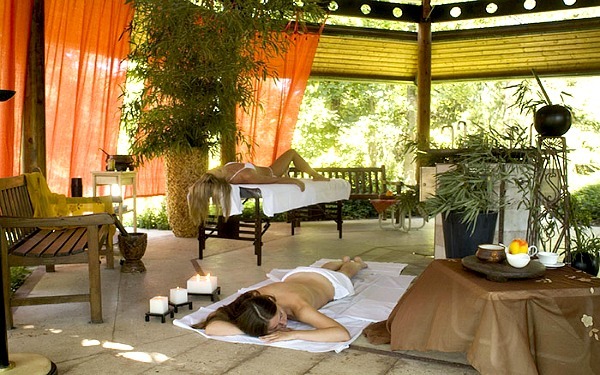 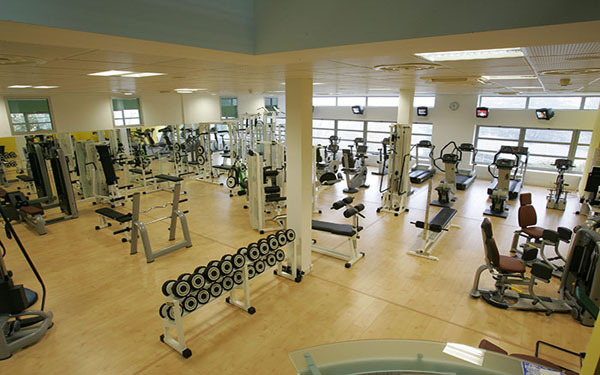 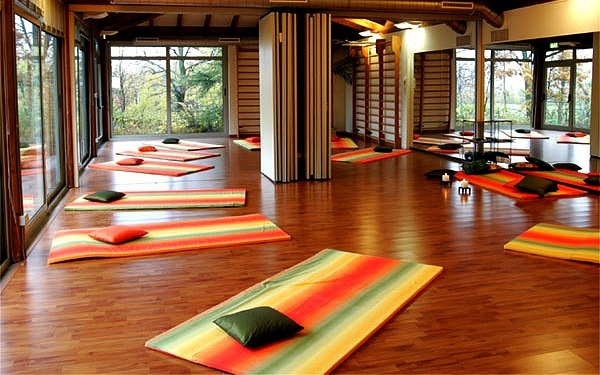 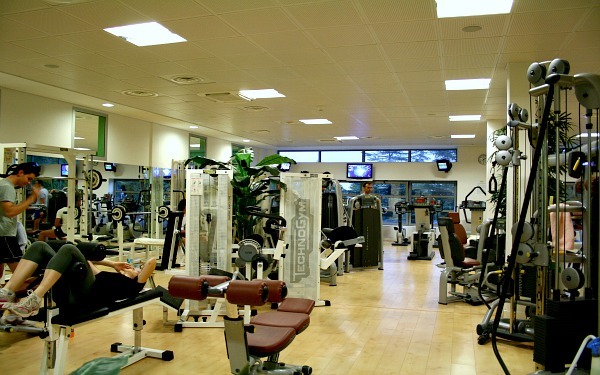 There is also a steam bath, sauna, 4 gyms equipped for work outs, yoga and rehabilitation, and a sensory and thermal clinic where treatments are carried out using ingredients grown in the area, such as organic cherries from Vignola, Lambrusco grapes, balsamic vinegar, cereals and honey. 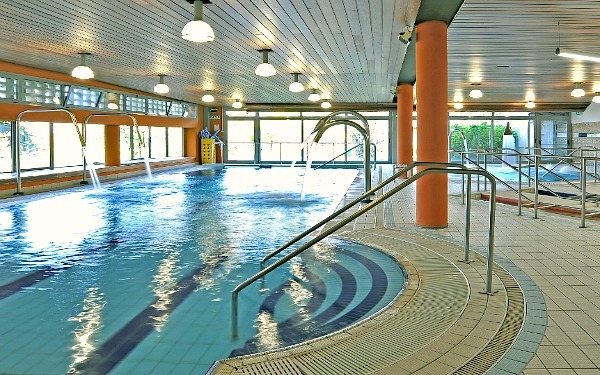 The spa also has a physical therapy centre equipped for carrying out any type of treatment and post-surgery recovery programme. 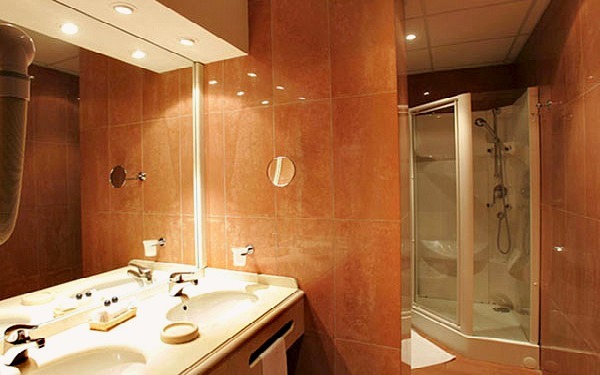 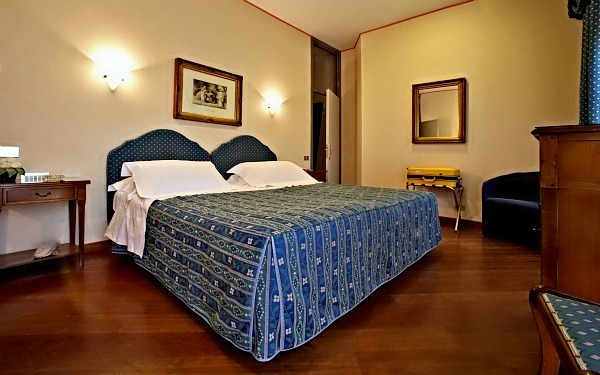 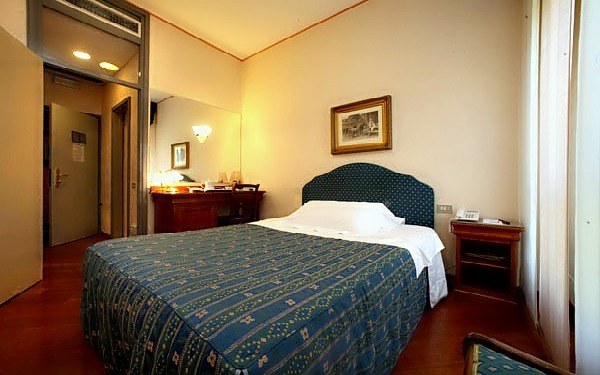 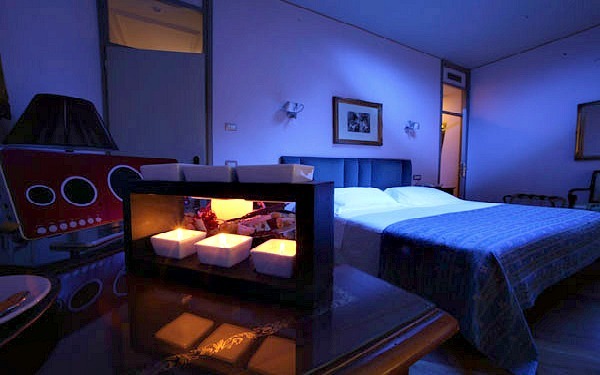 The single rooms here are available with a normal or a large sized single bed, and the double classic rooms, double elegance rooms, which are lit with special red lights for a chromotherapy effect, and the double superior rooms all have twin wash basins and a hydromassage shower, as does the Sensoriale room. 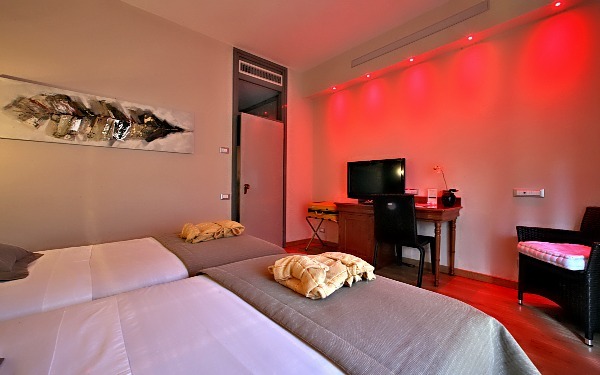 The double relax rooms, on the other hand, are available either with the bed in the middle of the room and with a double bathroom with a shower or with a living area and large bathroom with a Jacuzzi bath tub in the corner. 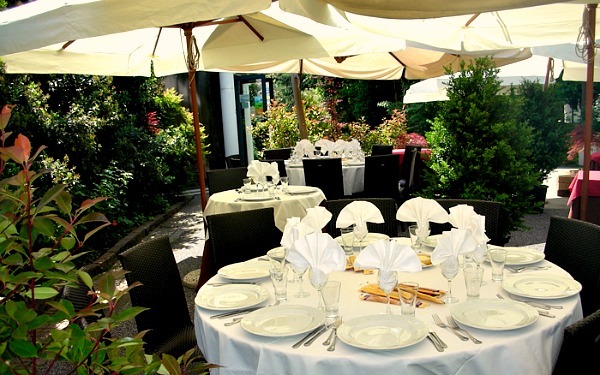 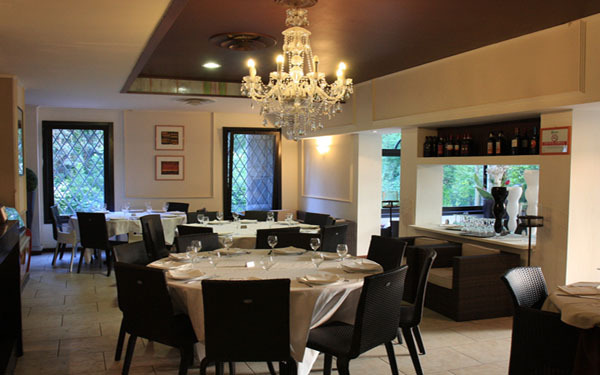 Restaurant-pizzeria "Millecuori" proposes dishes connected to the traditions of Modenese gastronomy, accompanied by fantastic pizzas. 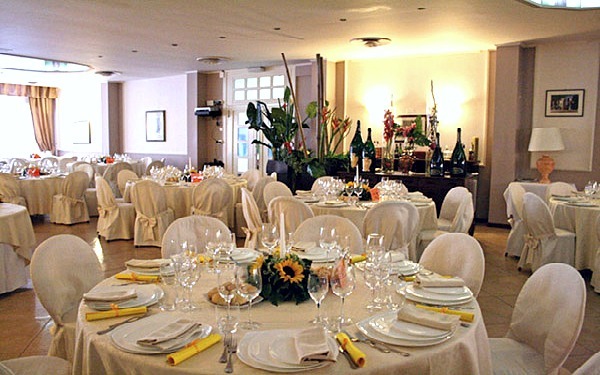 Available for events and ceremonies, "MIllecuori" is open for lunch and dinner, from aperitif hour. 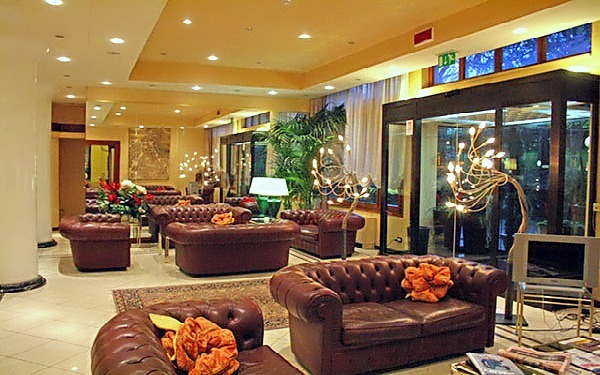 Being located in the centre of Emilia Romagna, Sassuolo, which is home to Hotel Terme Salvarola, is the perfect base for visiting all the major places of interest in the region. 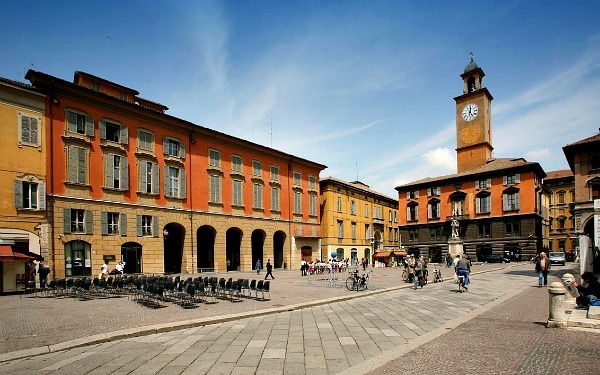 Car lovers, for example, simply must go to Maranello, the town of Ferrari, which is just 10 minutes away by car. 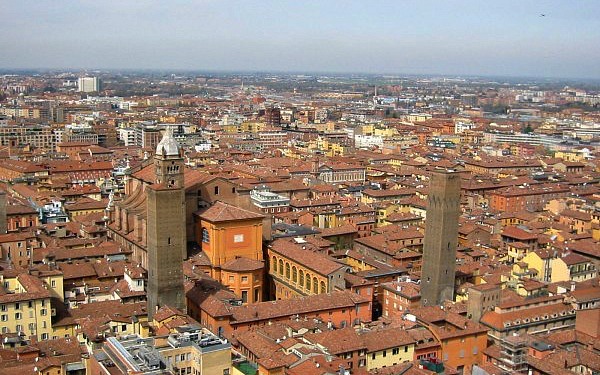 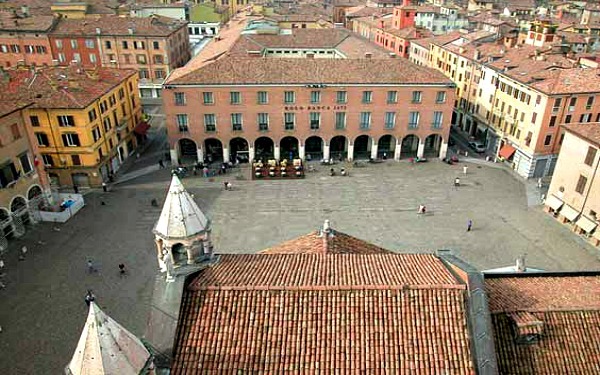 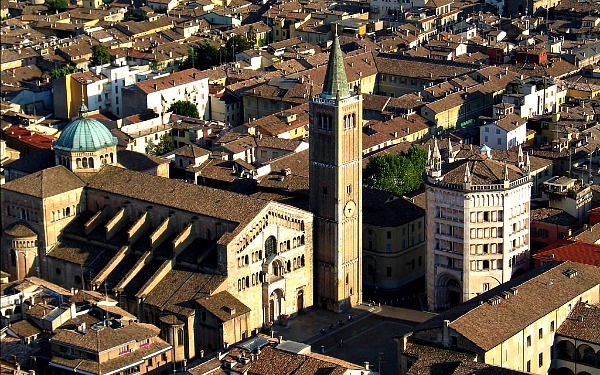 Modena, on the other hand, and its cathedral are only 20 minutes away from the hotel, whilst other important cities in Emilia can be reached in one hour, such as Bologna, Reggio Emilia and Parma. 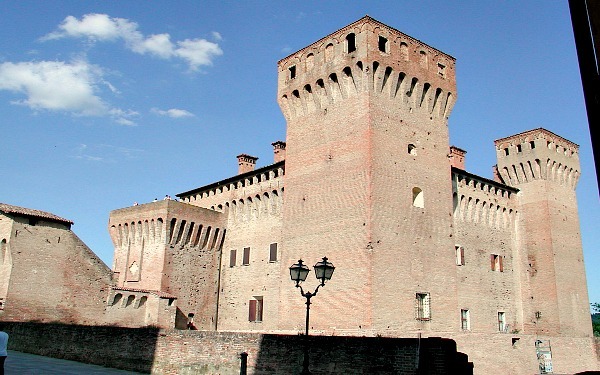 In Sassuolo itself the Este Ducal palace is a must, whilst other places of historic interest include the fort of Vignola, the archaeological park of Montale and the castles of Spezzano and Formigine. 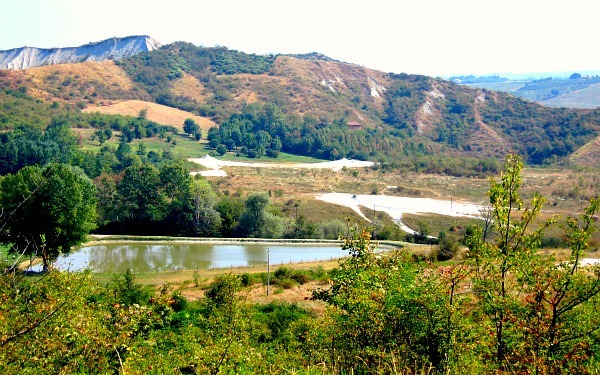 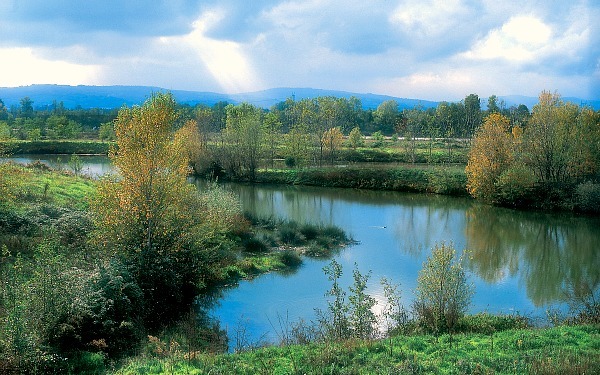 There is also plenty for nature tourism lovers here, thanks to the protected Salse di Nirano Park and Colombarone oasis.